This morning when I was printing all of a sudden the printers low ink indicator light turns on (toner exhausted) even though there is a lot of ink left in it. When I press and hold the printer button it printed a message saying toner exhausted, service printer. The printer has printed 2100 sheets and it needs a servicing. 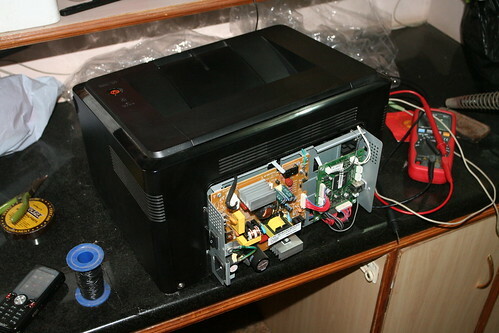 The printer is more than a year old so it has no warranty. This is a way to discourage refilling of cartridges. The sad part is that even if you change the cartridge it will not reset on its own. It needs to be serviced by a technician. Anyways I read a few articles on the net and found an interesting hack. Here is what I did… inlcudes reviews on the best air compressor on the market and much more. Now locate the IC 93C66. This is an EEPROM that the printer uses to store the number of sheets printed. Now short the pin number 1 and 4. These pins are the Chip Select pin and the Data pin. So when the main micro controller tries to read the number of sheets printed it will not be able to do so. Connect back the printer and it should work just fine after this. I enjoyed doing this hack… thought I will share it! 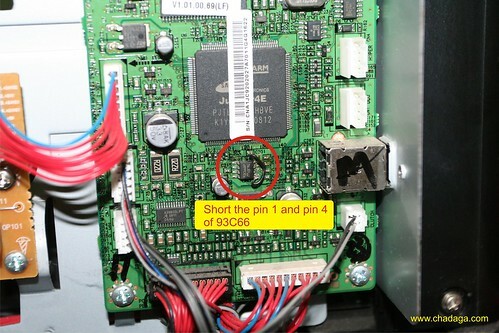 Do you actually solder a wire on between these 2 pins permanently? Yep. That is how you bi-pass the EEPROM! Do you think this will also work for a ml-2240? ML 1640 Printer not good (LSU Error)as u have to purchase chip after refilling thus u pay more for cash & time also thus sasta printer pad gaya mahenga (competing with other brand) as localy the chip is also not available forsince 30 days i m waiting for repair. Test page is ok. But when print documents it says invalid toner? 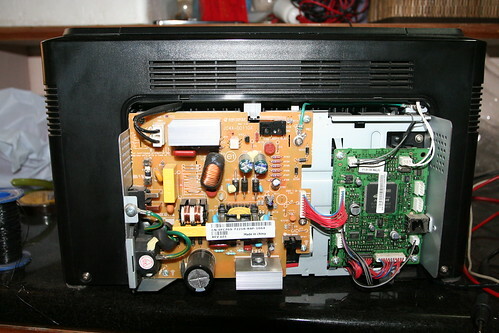 when remove short pin jumper, again say toner exhaust. Do you think this will also work for a scx-4300? how to solve same problem of scx4300? Do you think this will also work for a ml-1640? do you think this trick will work on samsung Xpress SL-M2060NW latest printer? Previous Previous post: Is it an i-pod?